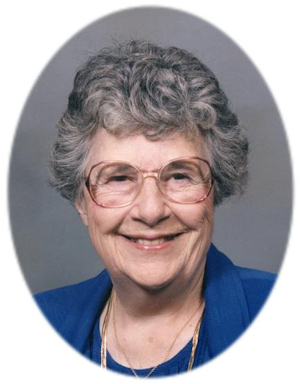 Obituary – Smith, Margaret Ellen (Elgin) « Perry High School Alumni Association, Inc.
– daughter of Monroe and Nellie Elgin was born October 3, 1918, Travers, Alberta, Canada. She attended New Hope School, Orlando, and Perry. While a member of the Perry High. School she was a member of the 4-H Club and Girl Reserve. She had 1 year of perfect attendance, won first in penmanship, State Honor Society member and was 8th grade Valedictorian. She is interested in teaching Home Demonstration work and plans to attend college next year at either Alva or Stillwater. Margaret Ellen Elgin Smith, 93, of Perry, Oklahoma, was the daughter of Monroe A. and Nora Nellie (Crowe) Elgin. She was born on October 30, 1918 in Travers Alberta, Canada and died Saturday, June 2, 2012 at the Sterling House in Enid, Oklahoma. Margaret attended Oklahoma A&M where she graduated with a B.S. in Business Economics. She worked as a Home Management Supervisor for Farm Securities for the State of Oklahoma then became the owner/operator of Smith Motel in Tahlequah for over 30 years. She was a member of the American Legion Auxiliary since 1974 and held local, state and national titles. Margaret was a member of the Democratic Women where she held a state office and worked in the local organization. She held a position on the Noble County Election Board and was a member of the Daughters of the American Revolution. Margaret was a lifelong Presbyterian and an active member of the First Presbyterian Church in Perry and Tahlequah, Oklahoma. She was an elder, deacon and the moderator of the Presbyterian Women. She enjoyed sewing, reading, and volunteering whenever she could. Margaret was a people person but most of all she loved spending her time with her family and friends. Funeral services will be 2:00 p.m., Thursday, June 7, 2012 at First Presbyterian Church Perry, Oklahoma. Rick Rhodes will officiate. Margaret is survived by her nieces and nephews, Lynda McKenzie of Kirtland, New Mexico, Nellie Perkins of Yukon, Oklahoma, Dean and Virginia Ashbrook of Claremore, Oklahoma, Shirley Powers of Glencoe, Oklahoma, Doug and Ann Elgin of Huntsville, Alabama, Donald and Jenny Elgin of Muskogee, Oklahoma, Jim and Patricia Lindsey of Collinsville, Oklahoma, John and Peggy Elgin of Louisville, Kentucky, Jim and Bonnie Elgin of Minooka, Illinois; numerous and beloved nieces and nephews of her brothers, Leonard, John and Ronald; many beloved friends and co-workers from the American Legion Auxiliary, Girls State, Daughters of the American Revolution and Democratic Women. She was preceded in death by her parents, Monroe and Nora Elgin; two brothers, Lee Elgin and Pat Elgin; one sister, Aley Ashbrook; three half brothers, Leonard Milner, John Milner and Ronald Milner; one niece, Margaret Jean Rhodes.